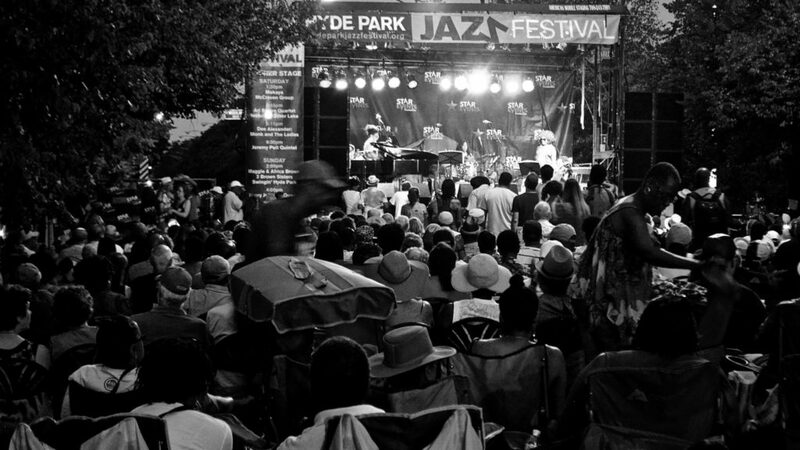 In its eleventh year, the Hyde Park Jazz Festival drew large crowds two weekends ago. The free two-day festival offered music lovers ten venues to hear some of the best local, national, and international music on the planet. On Saturday, the festival paid tribute to and celebrated the one-hundredth birthday of famed jazz pianist and composer Thelonious Monk, who was born on October 10. 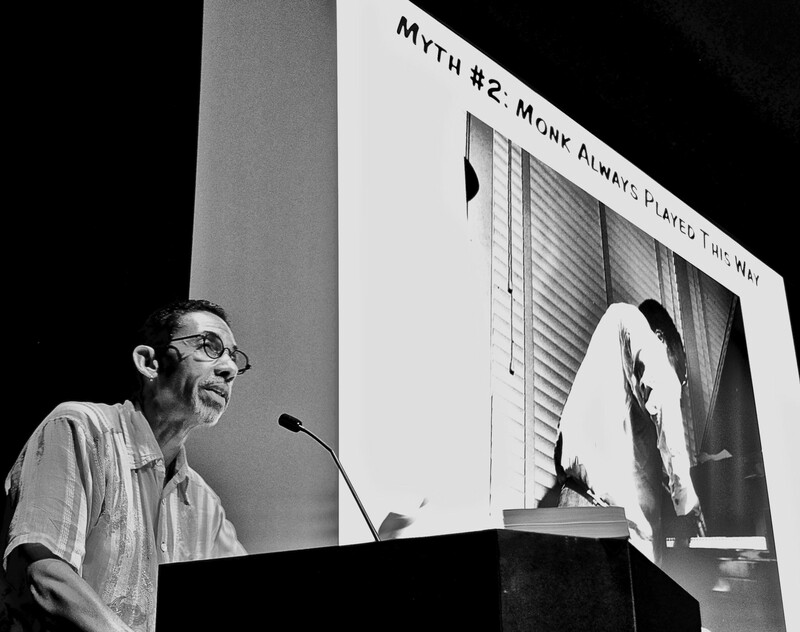 The fest’s curators brought four perspectives on the life and legacy of Monk, starting with a biographical perspective in the afternoon, and ending with three unique musical interpretations in the evening. 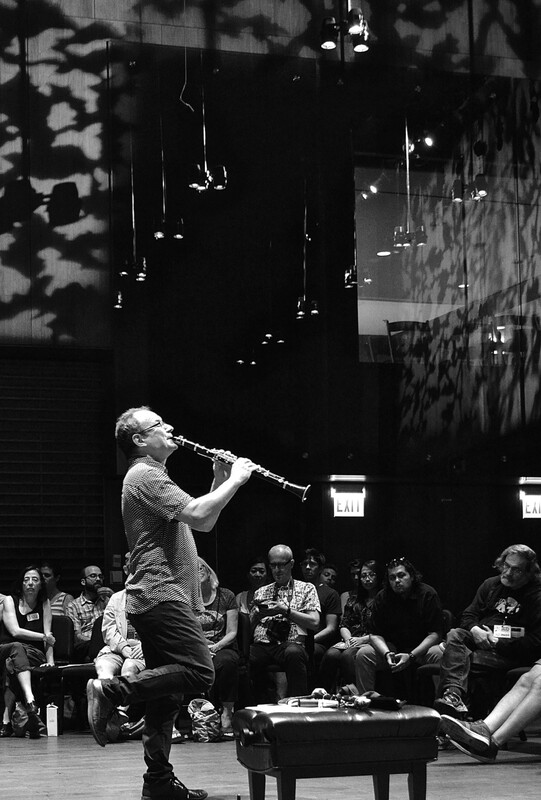 Clarinetist Ben Goldberg’s solo performance “Learned From Thelonious Monk” tapped into Monk’s musical inventiveness, improvisation and creativity. The hour-long solo left the audience mesmerized. 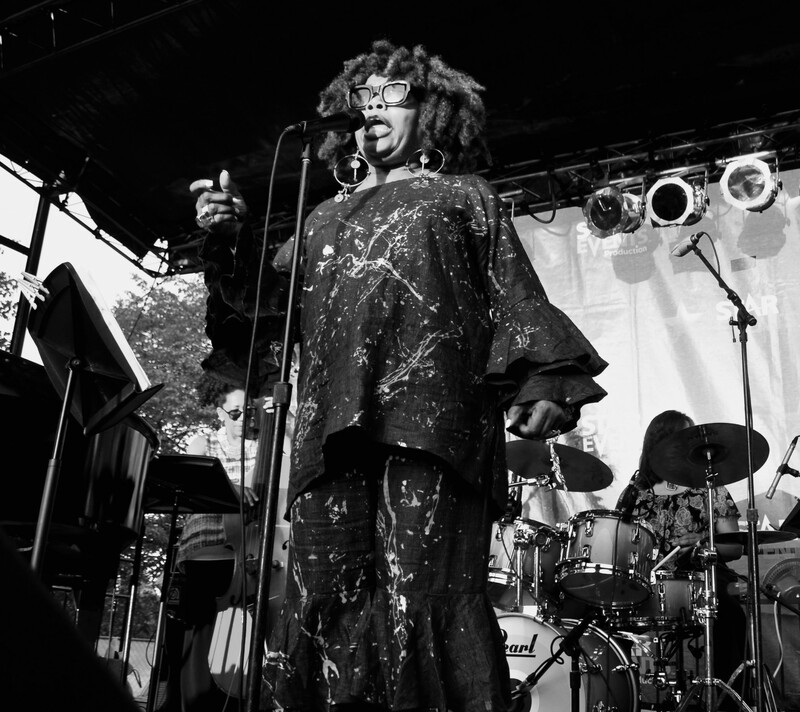 In the first musical tribute of the night, Dee Alexander, jazz vocalist and 2007 “Chicagoan of the Year,” brought together a group of musicians to perform as “Monk and the Ladies” on an outdoor stage on the Midway. 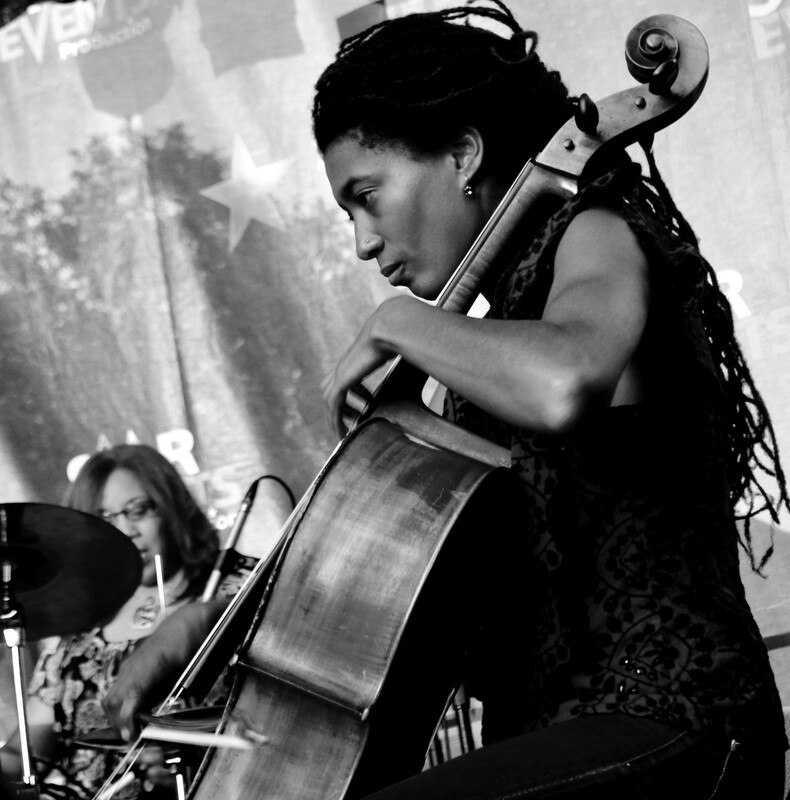 Along with Alexander, Tomeka Reid on cello, Marion Hayden on bass, Alexis Lombre on piano, and Gayellen McKinney on drums brought one of the largest crowds of the festival to their feet for a standing ovation. Jeremy Kahn and Steve Million concluded the Monk musical tribute indoors at the nearby International House, with upbeat interpretations on two back-to-back pianos; their performance was called “Double Monk.” Kahn has played with the greats including Dizzy Gillespie, Max Roach, Aretha Franklin, and Joni Mitchell, and Million was a semifinalist in the Thelonious Monk Piano Competition. Robin D. G. Kelley, author of Thelonious Monk: The Life and Times of an American Original, delved into the personal and public sides of the musical genius. Photographs are amazing. Great detail and capturing of expression. Well done Bridget. I missed the Jazz Festival this year, but you captured the tribute to Monk with images and narrative that made me know that it was a real jazz moment. Excellent work…love to see more of your creative genius. Pictures are worth a thousand words and more. Although I was not there I share in the spirit of the work of Thelonious Monk through these musicians. This blog captures the heart and soul of Monk’s work and relationships. Three snaps of the finger for Vaughn and her storytelling ability!